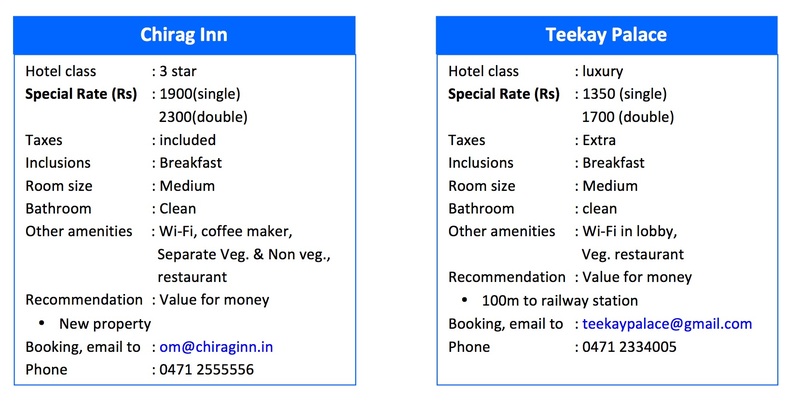 Participants are encouraged to book at the hotels identified below at the earliest as there are more than 1200 abstract submissions. 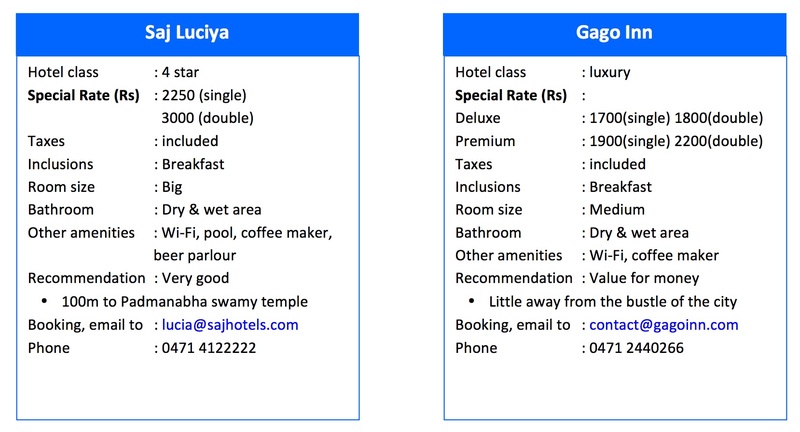 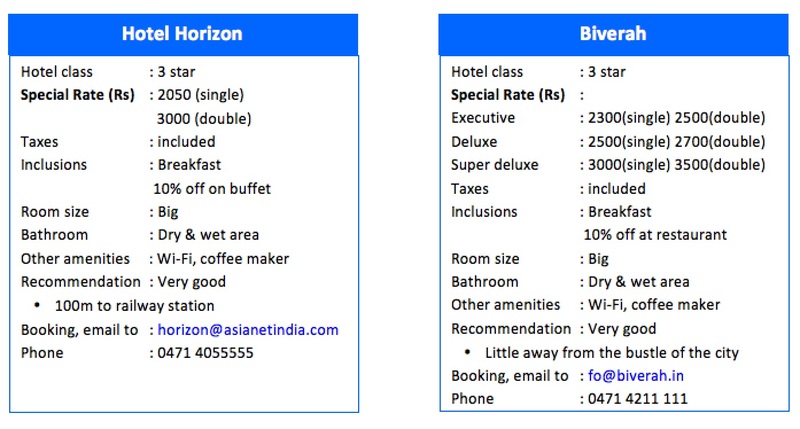 Organising committee has identified these hotels at concessional rates. 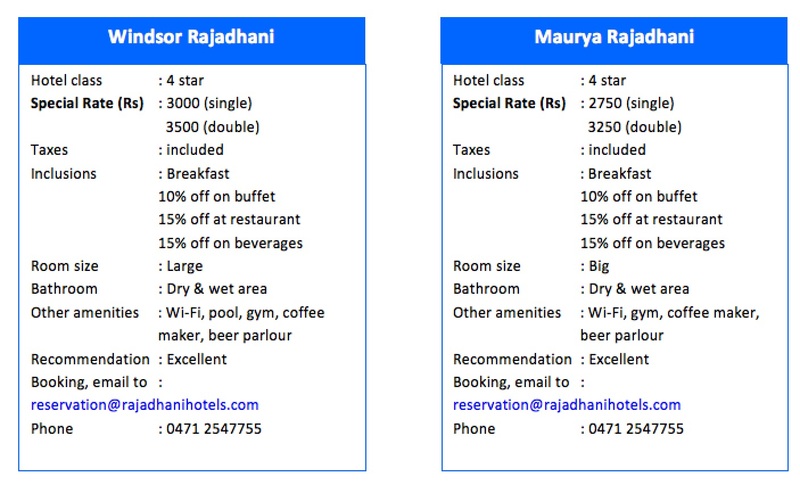 Transport facility from guest houses / hotels to the conference venue and back will made available. 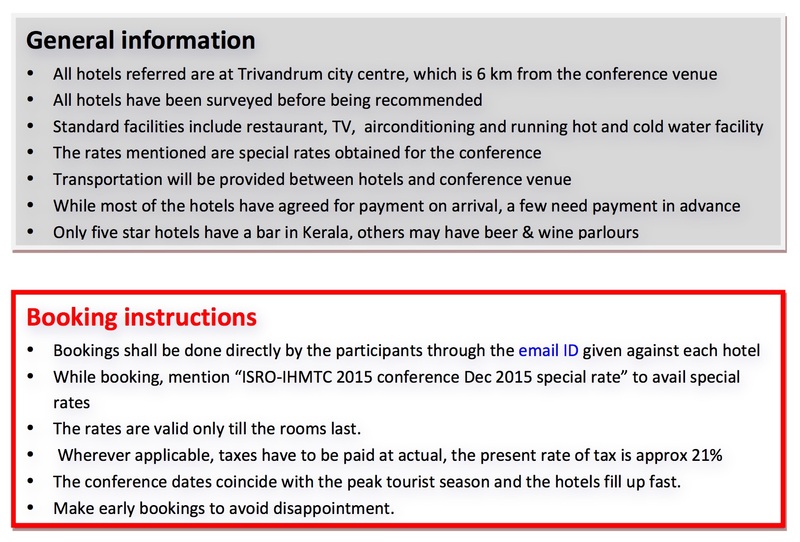 After confirming your hotel reservation please mail your resrvation details to stay.trivandrum @gmail.com for ensuring transporatation to conference venue and back.